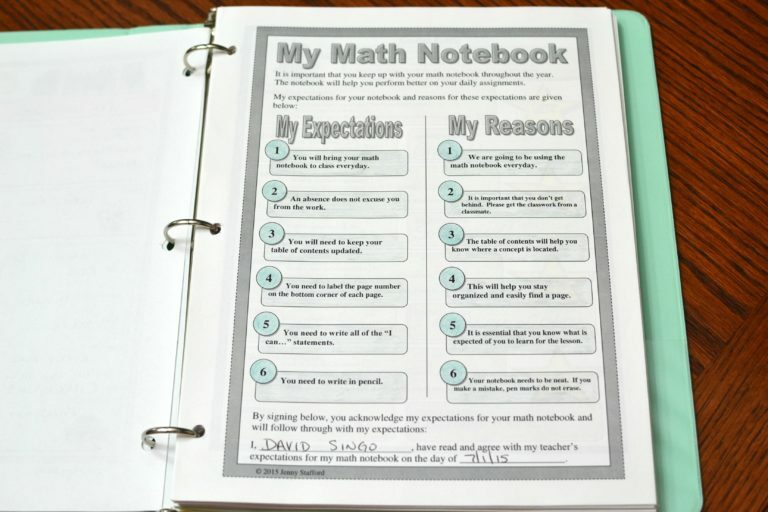 I was going through my gigantic amount of files on my computer and cannot believe how many resources I created and never uploaded! 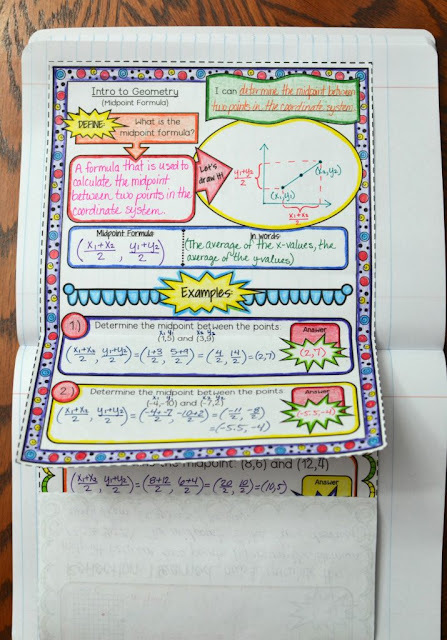 Imagine how shocked I was to come across this beauty! 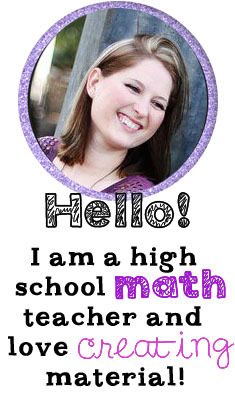 Did I mention that I am posting it for FREE?! 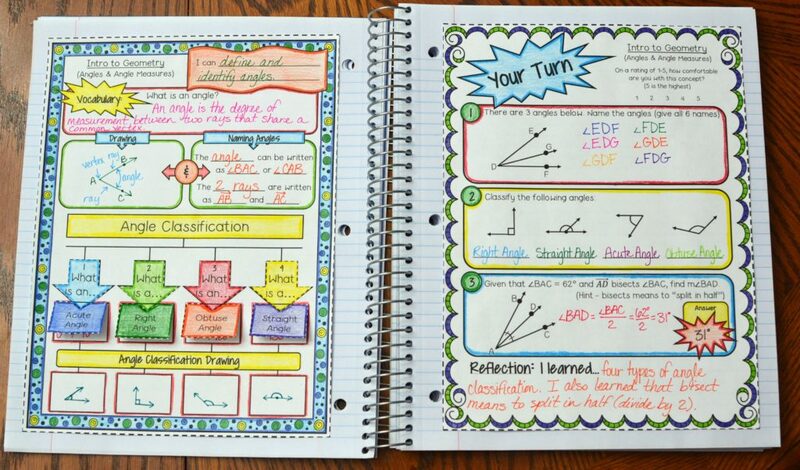 I love my interactive notebook pages and I want you to see how organized and detailed they are! 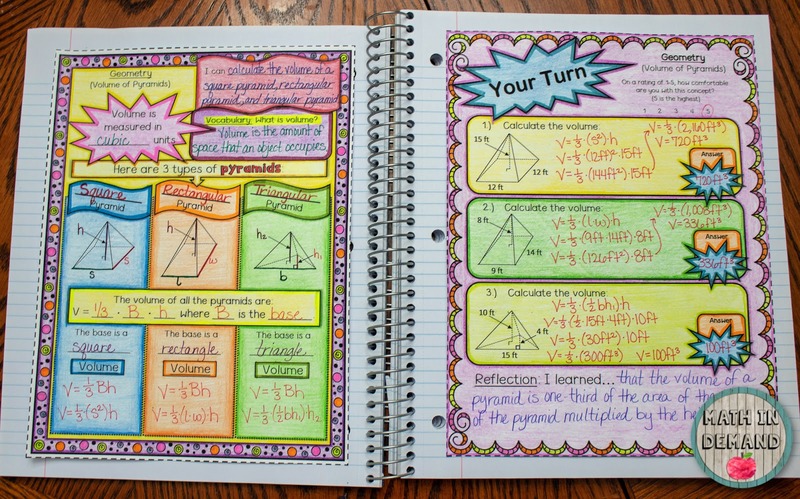 These pages go over three pyramids: square pyramid, rectangular pyramid, and triangular pyramid. The formulas for the volume of these pyramids are on the left page. 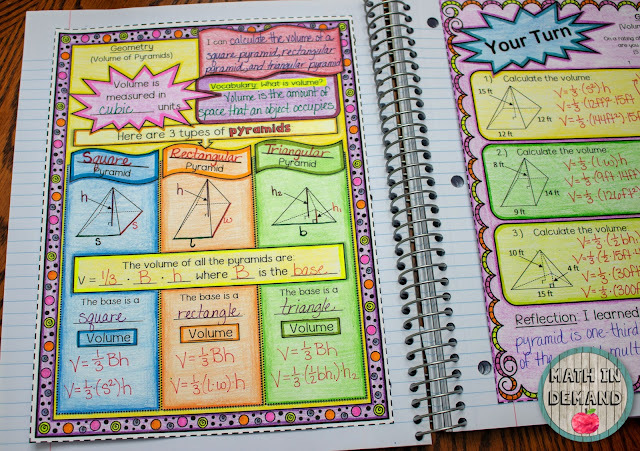 The second page has students calculating the volume of the pyramids. 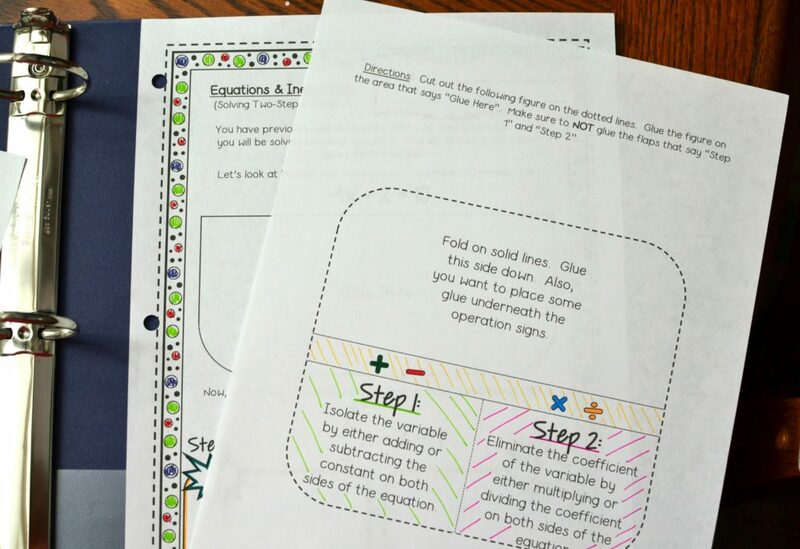 By the way, make sure to follow my newsletter because I will be making a matching freebie on the Volume of Prisms! 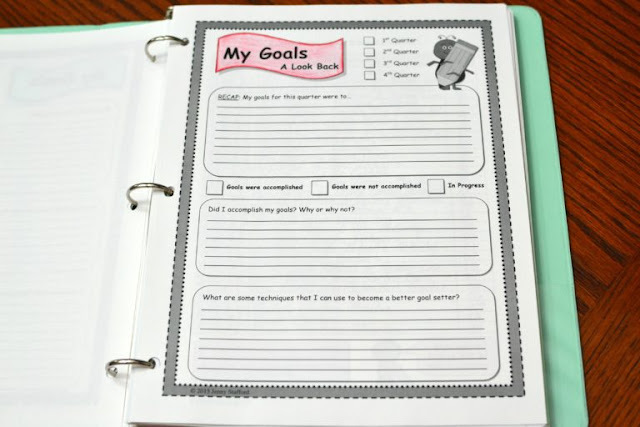 You can download this resource from my TPT store OR from my website. 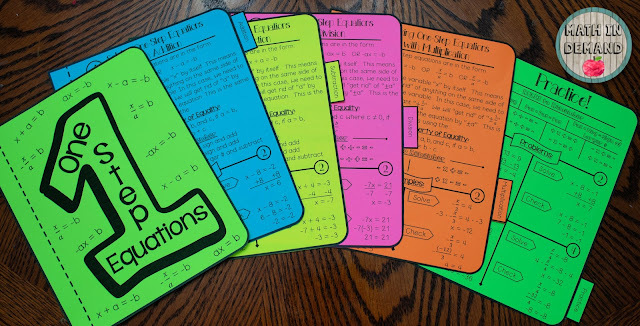 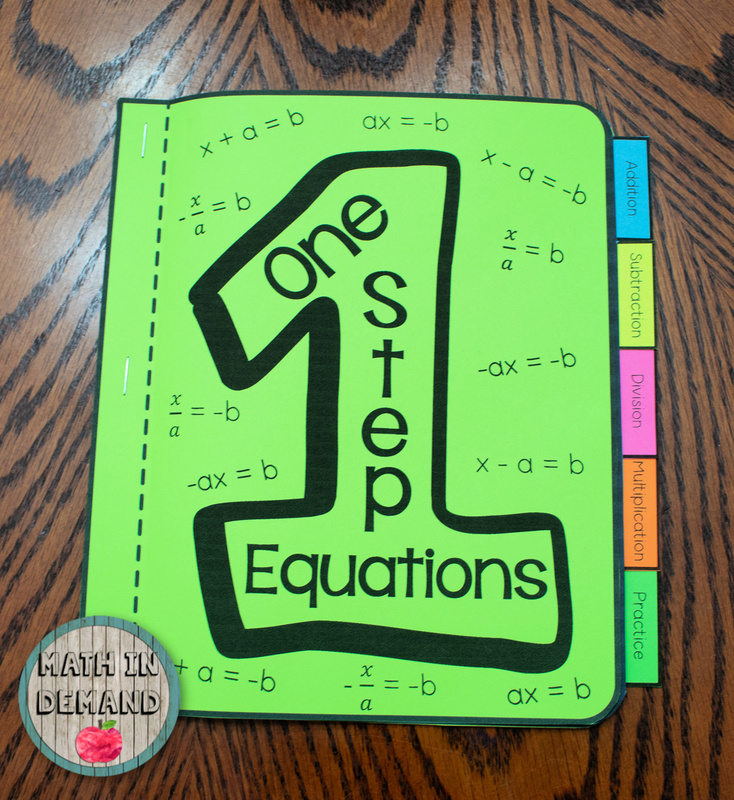 Can I say that I am a little obsessed with my One-Step Equations Booklet?! 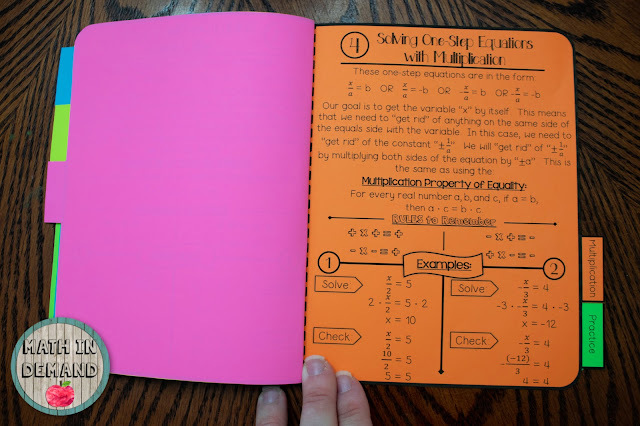 I absolutely love colors, and I made sure to make my booklet pop with colored construction paper! I printed each page on a different colored paper. 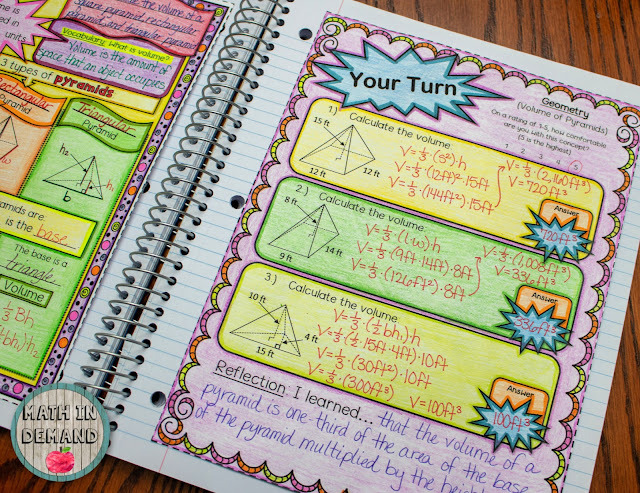 I use Astrobrights colored paper! 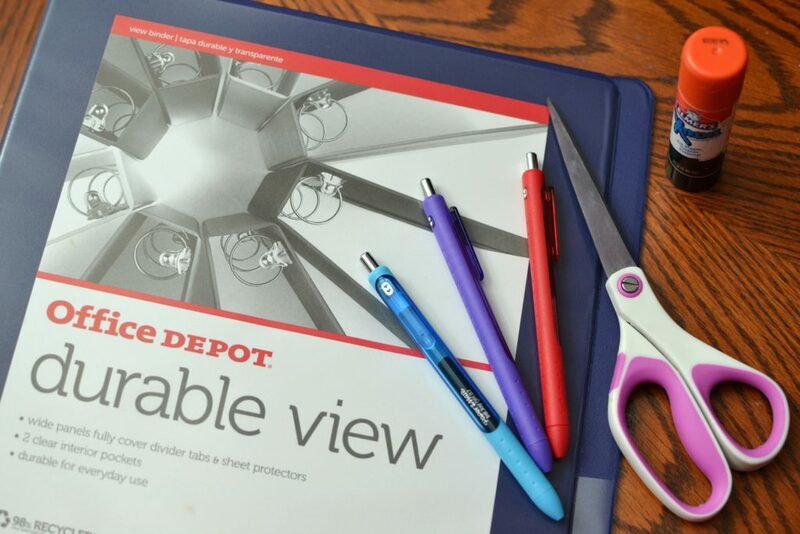 I love using my astrobrights colored paper anytime I want to make my resources "pop". This paper is especially useful when I am limited with classroom time and don't have time for my students to color. 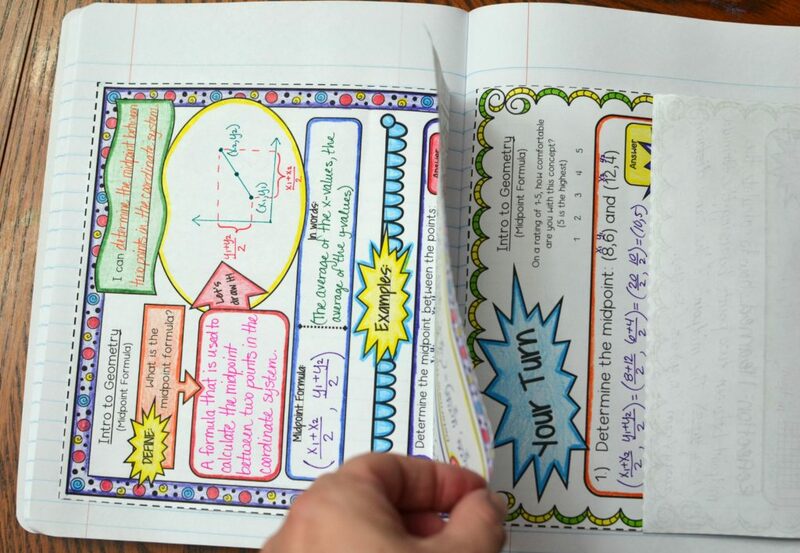 Just print on colored paper! 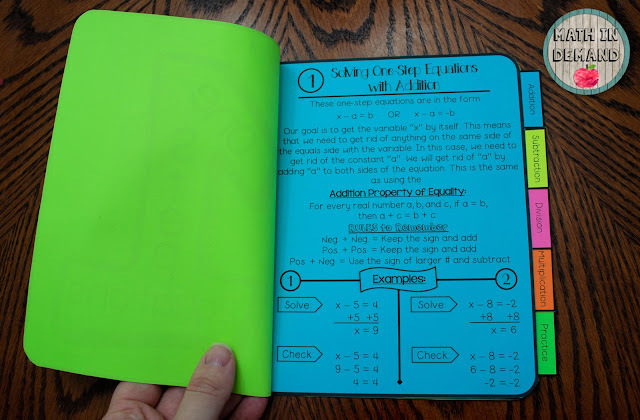 You can purchase the Astrobrights colored paper by clicking the link (affiliate link). Disclaimer: I may earn a small commission for my recommendation and/or link to any products from my website. 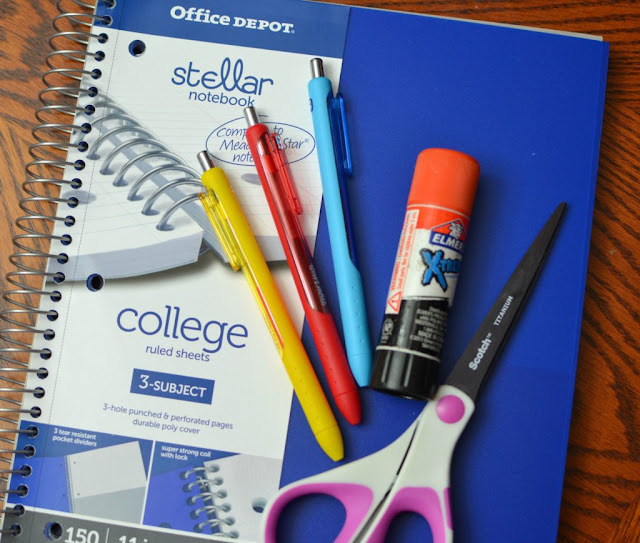 There is no added cost to you if you purchase through my link. There are a total of 6 pages including the cover. The pages include: (1) cover page, (2) solving one-step equations using addition, (3) solving one-step equations using subtraction, (4) solving one-step equations using division, (5) solving one-step equations using multiplication, and (6) practice. 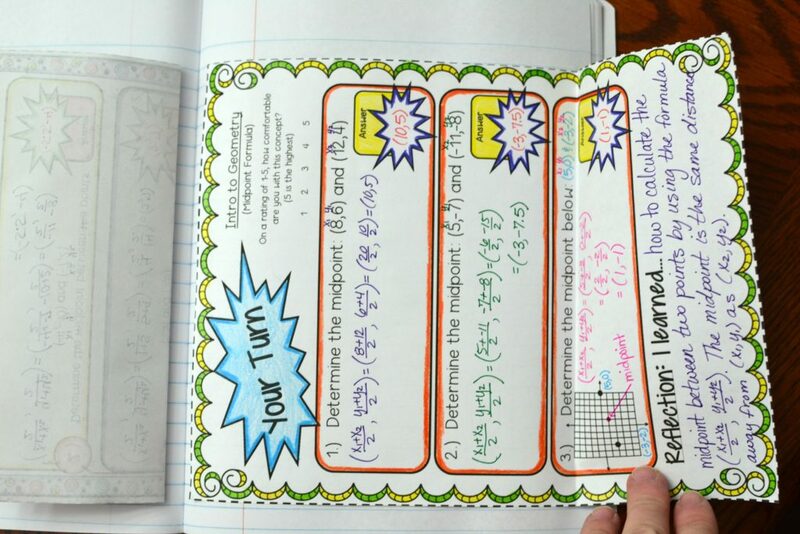 All of the pictures above show the "answer key template" of my booklet. 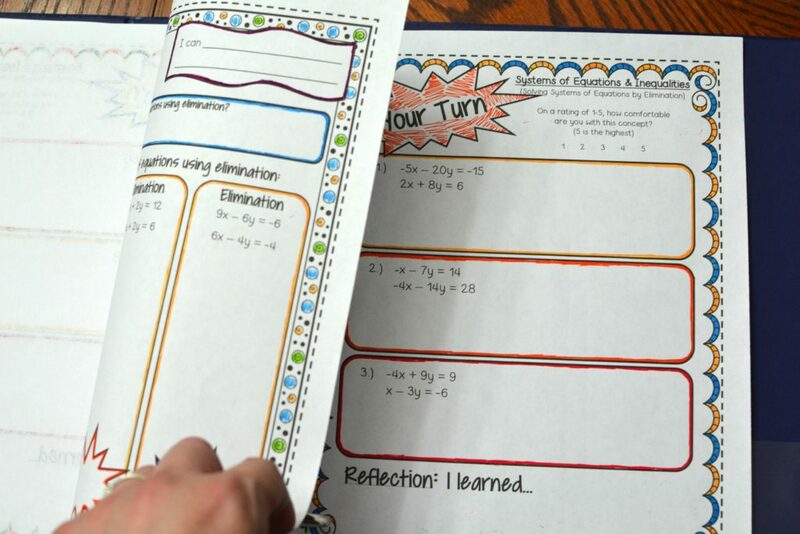 I provide 3 different versions: (1) fill-in template, (2) answer key template, and (3) blank template. 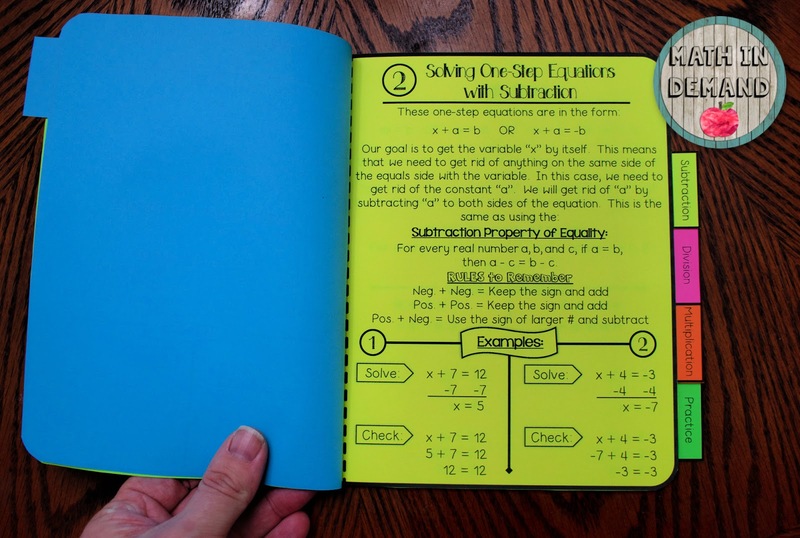 Personally, I like to print the "fill-in template" for my students and project the "answer key template" on the board. 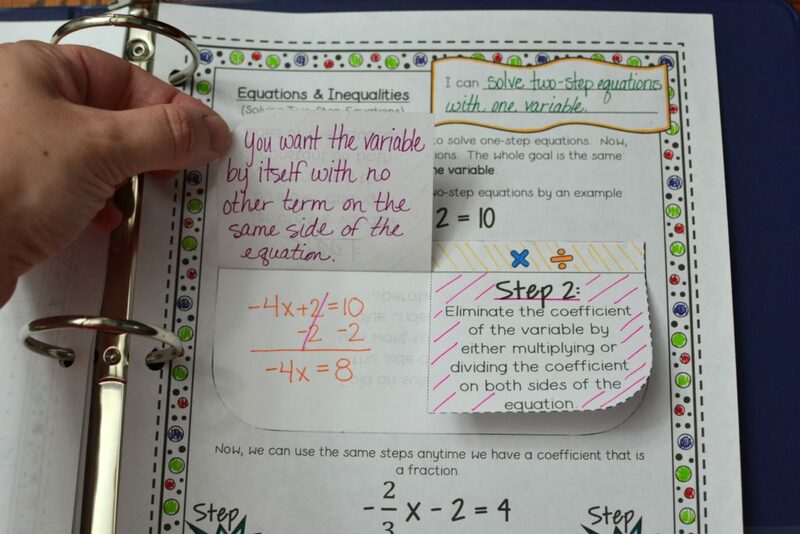 Students will fill-in the information and solve the problems. As stated earlier, I am completely obsessed with my booklet because it is such an amazing study tool for students! 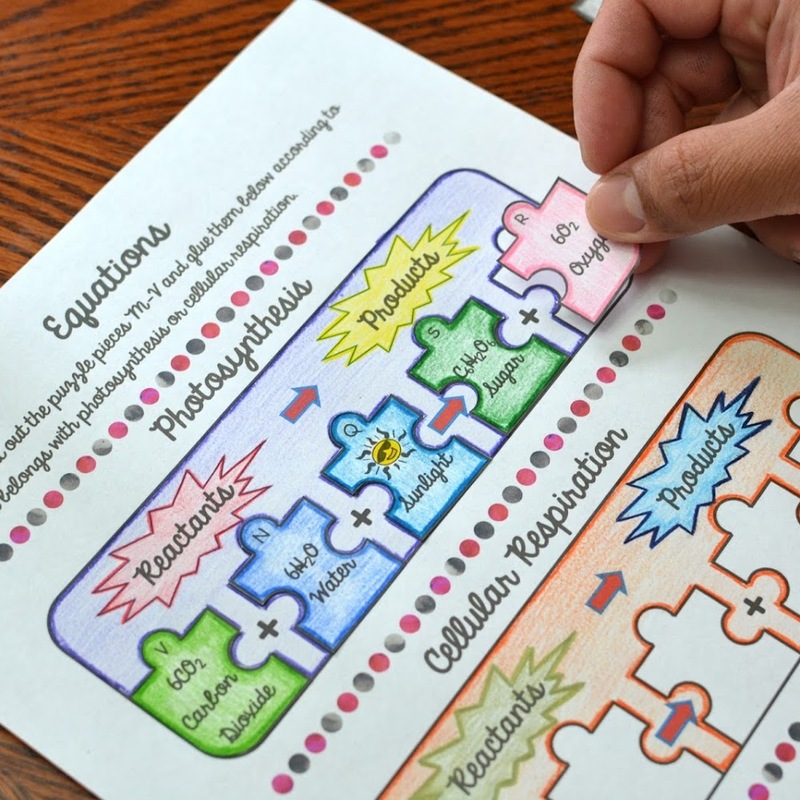 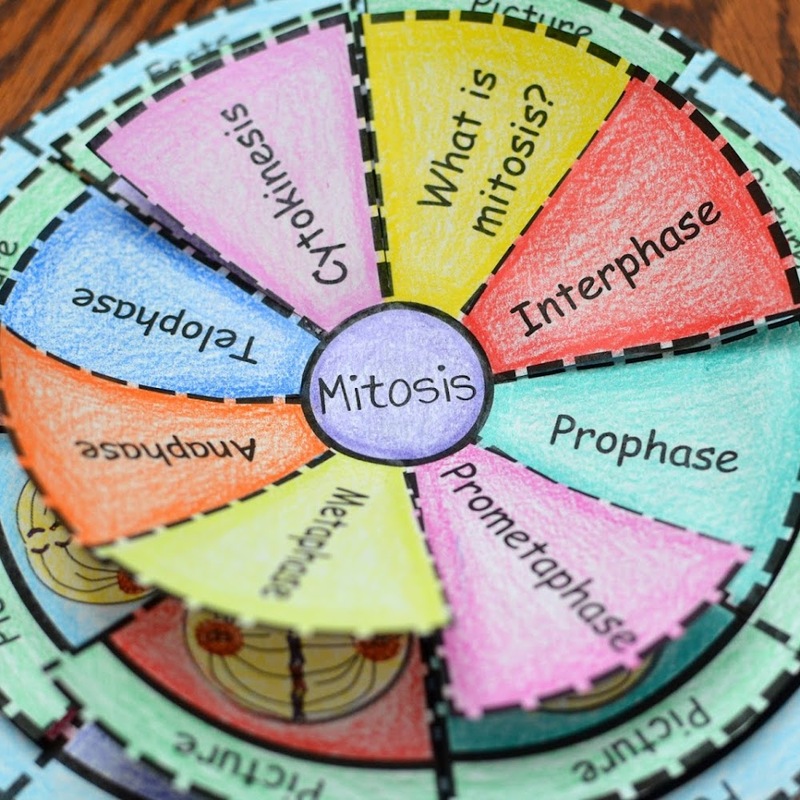 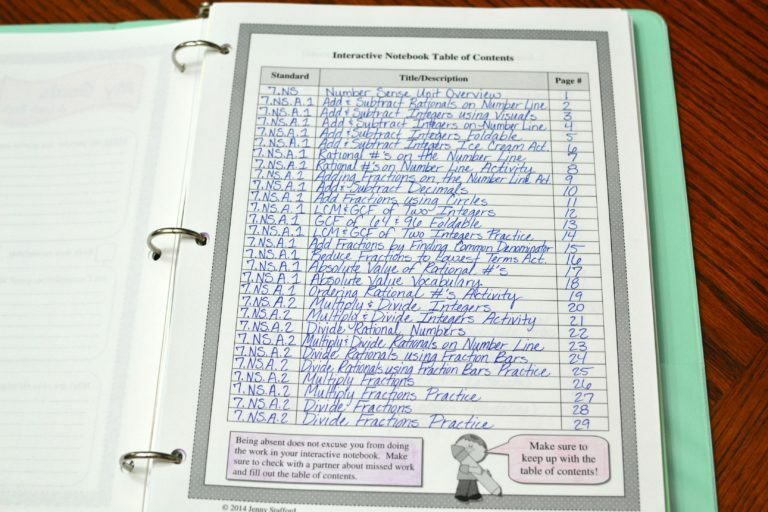 The tabs make it extremely easy to find the page that students need, and students love that they have examples to help them when they are working on other assignments. 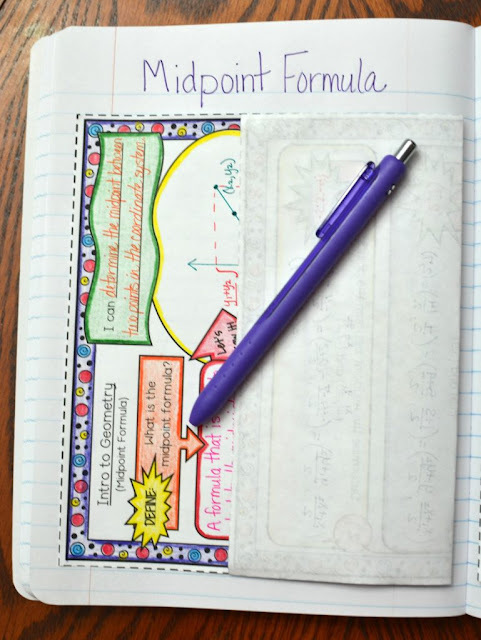 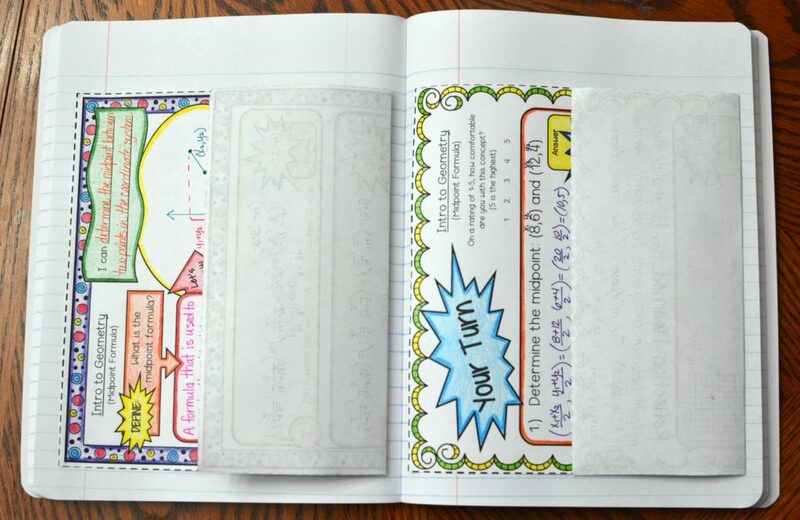 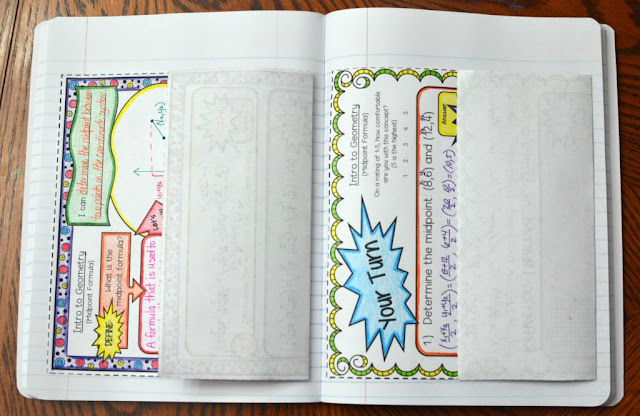 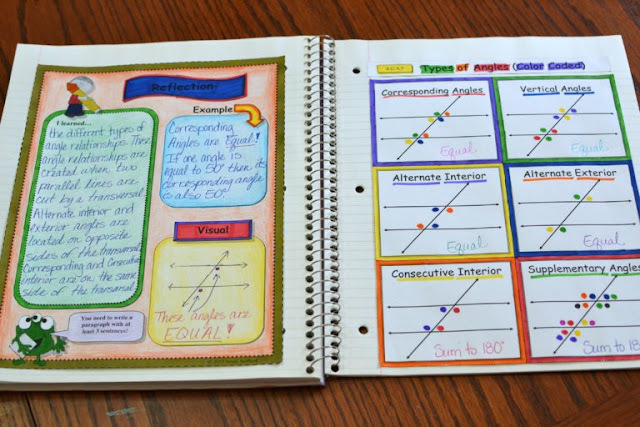 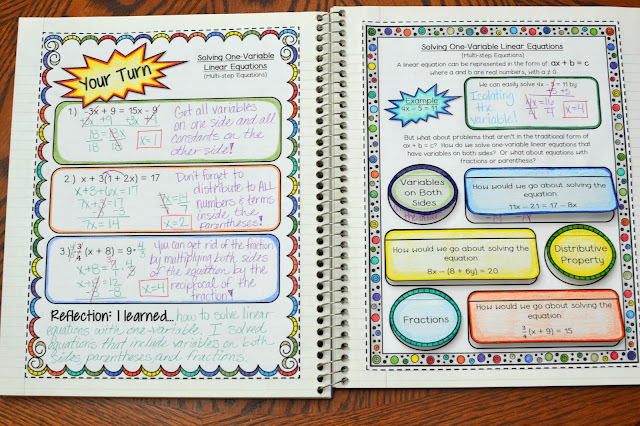 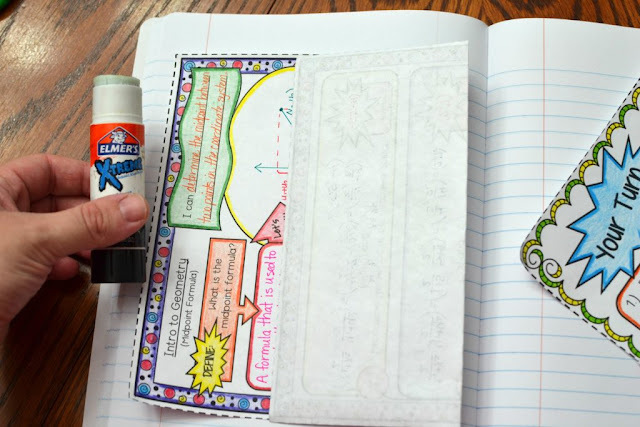 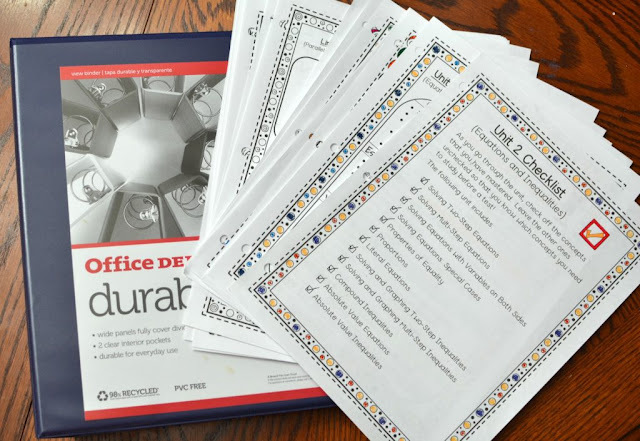 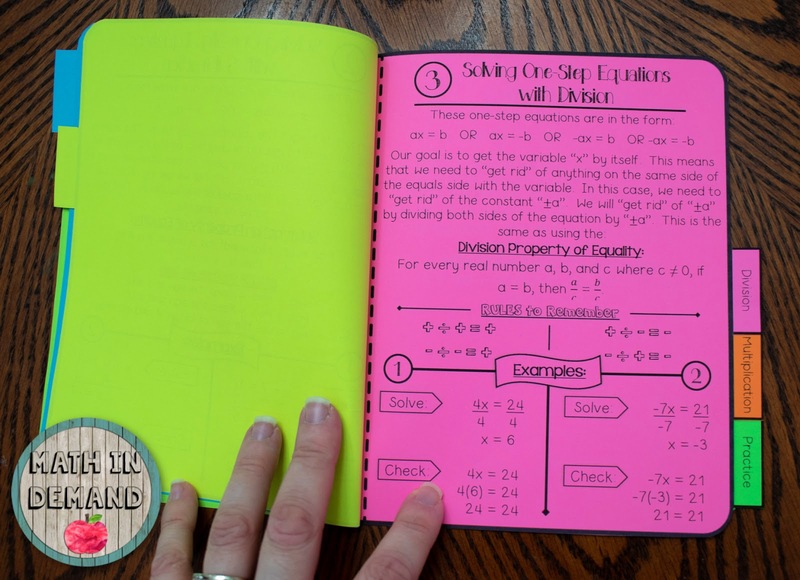 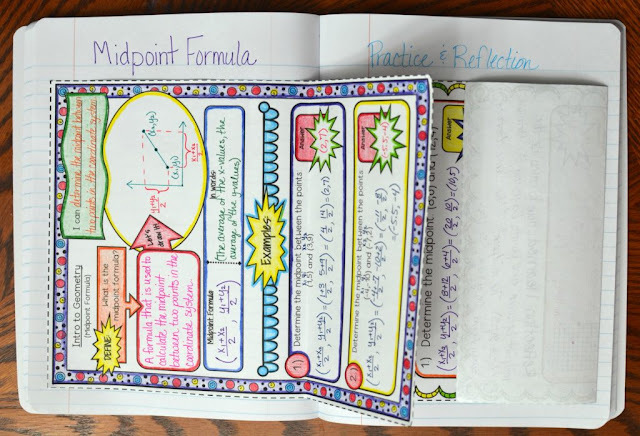 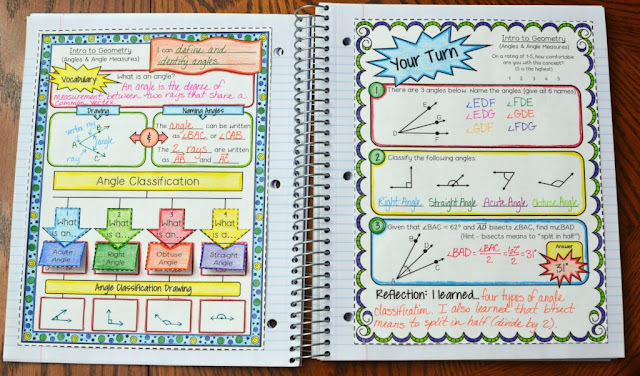 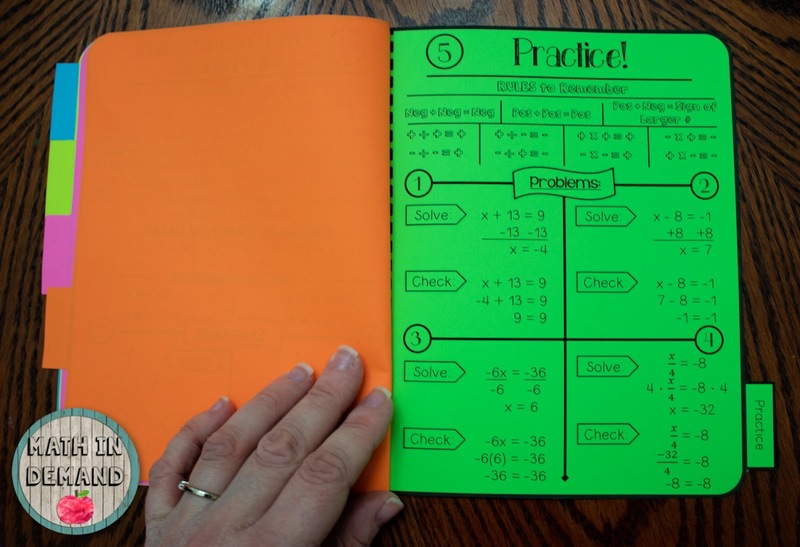 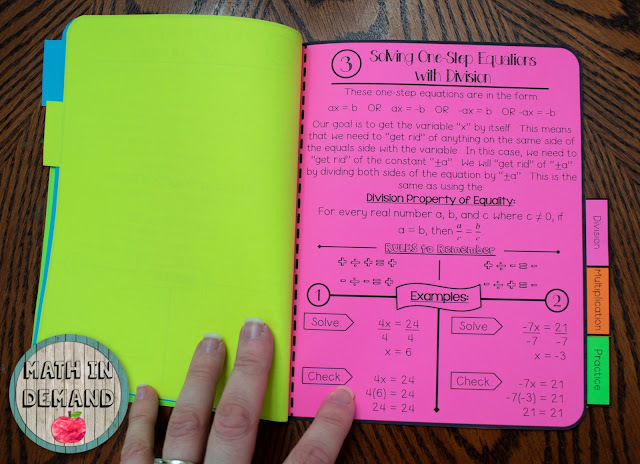 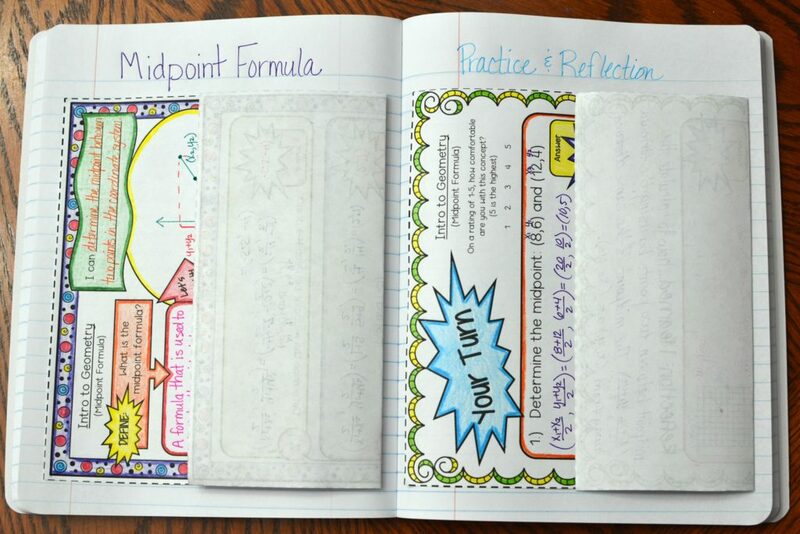 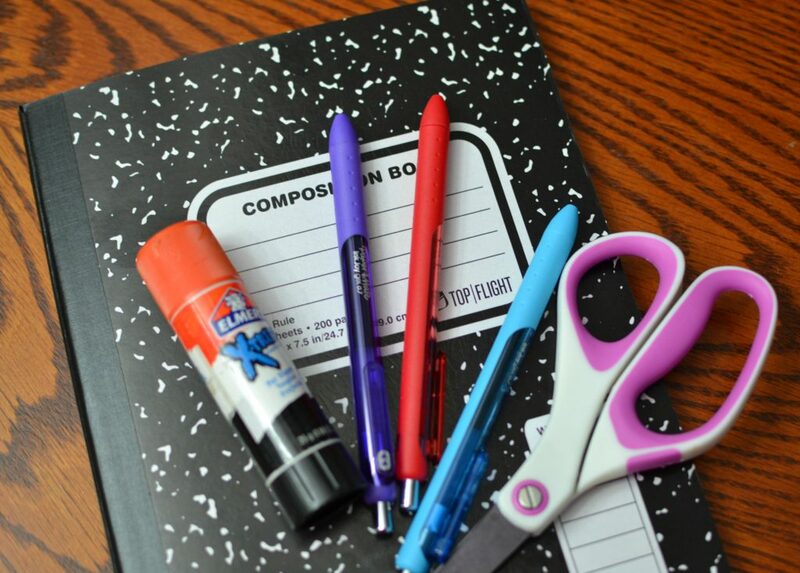 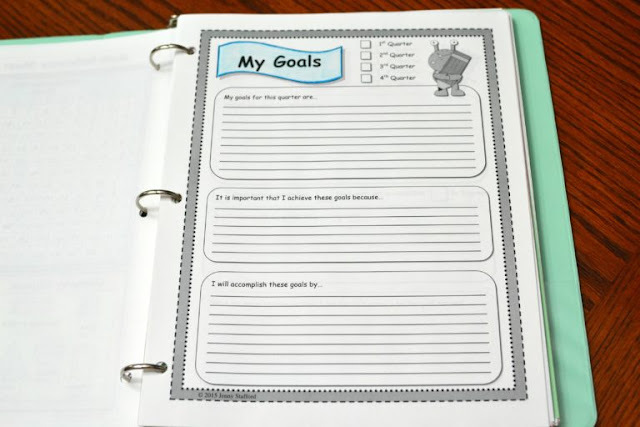 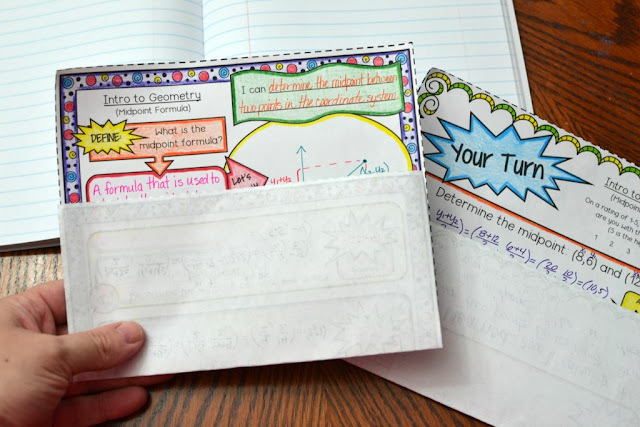 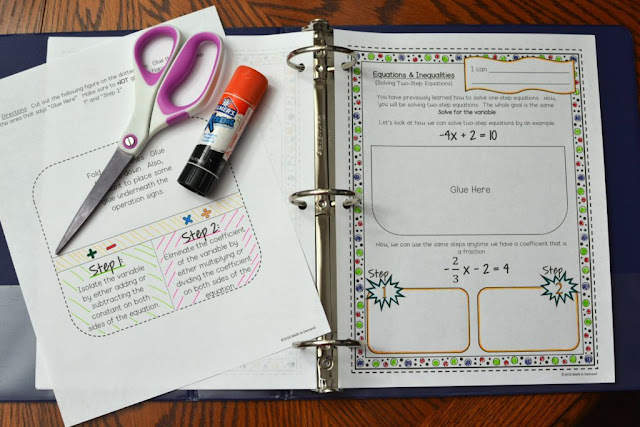 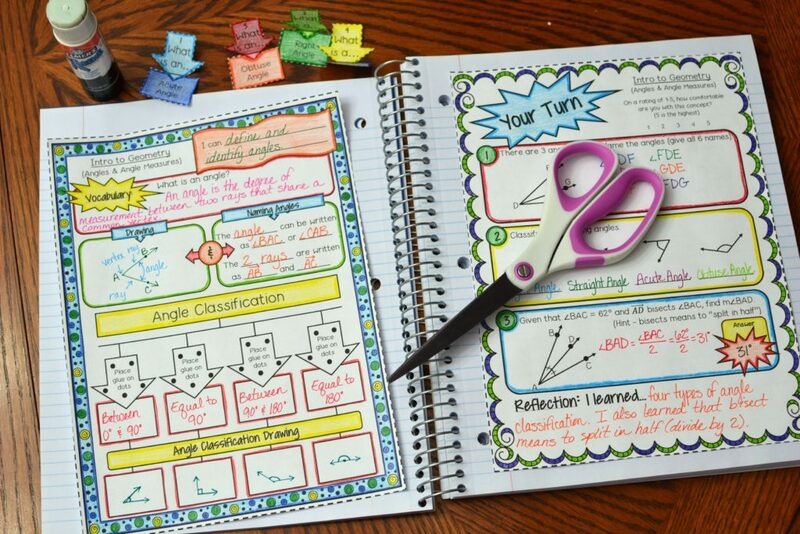 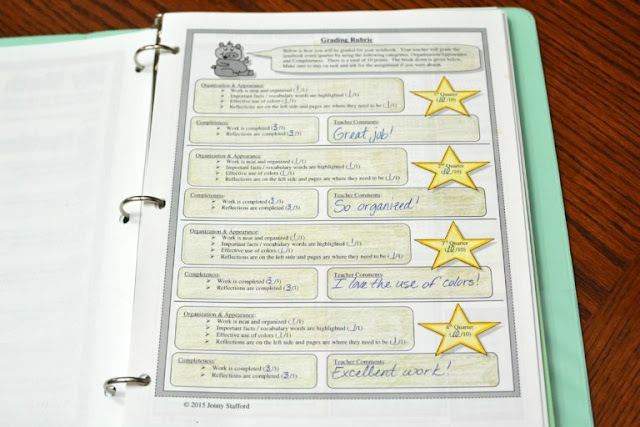 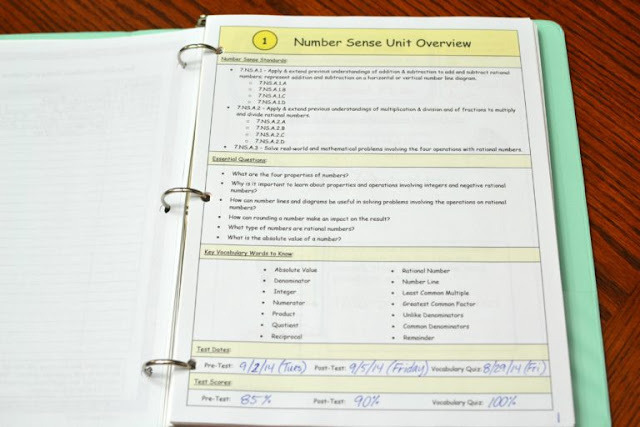 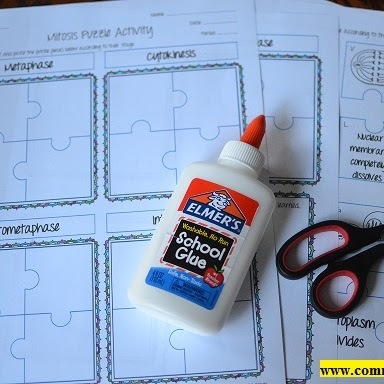 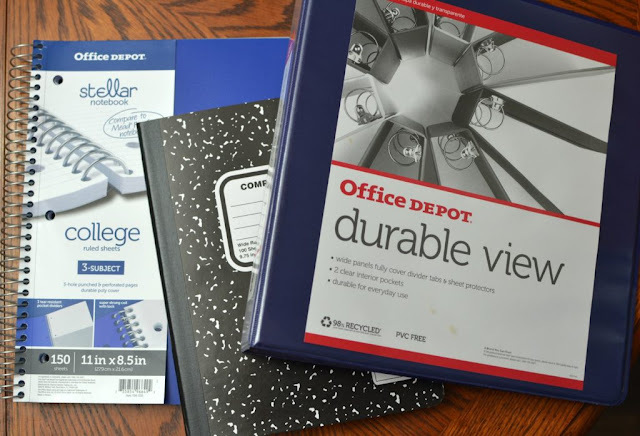 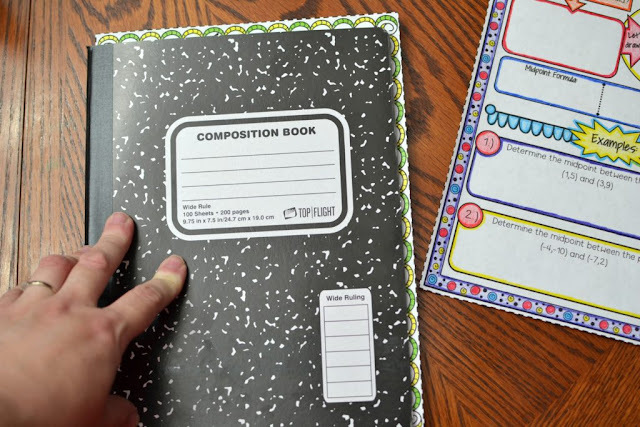 You can have students place the booklets in their math interactive notebooks by stapling or gluing the bottom page. You can purchase my one-step equations booklet HERE.